Building on a narrow plot can be challenging because the architects need to solve the problem of a small footing and accommodating everything necessary there. 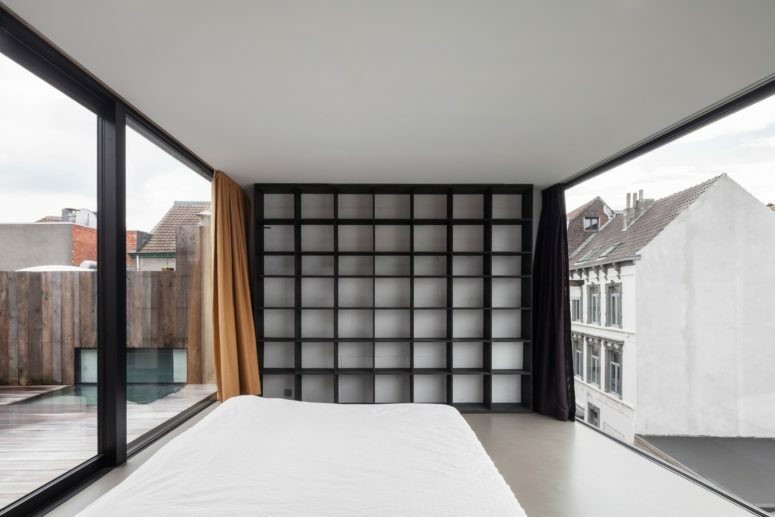 Vandenborre and Sys created Abeel House for a narrow plot in an up-and-coming neighborhood of the city and successfully solved all these problems. This compact family house is conceived as a stack of three angular glass volumes, sitting on top of a solid base. Windows angle out from the front giving multiple perspectives on the street and city below and make the house stand out from the others. 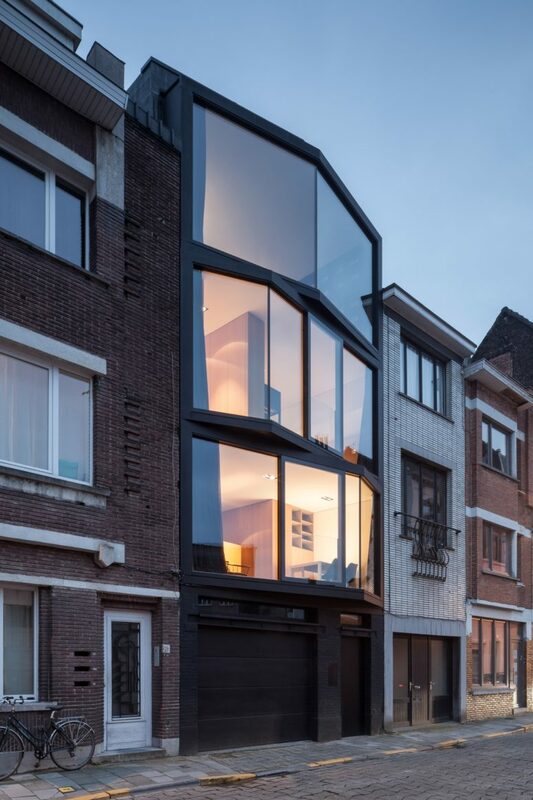 It comprises four floors, with a garage in a black brick base and three floors of living space above. Every floor is carefully shaped with shifting angles to provide particular sights of the street and the city. The upper floors feature floor-to-ceiling glazing, which projects away from the adjacent facades at opposing angles. 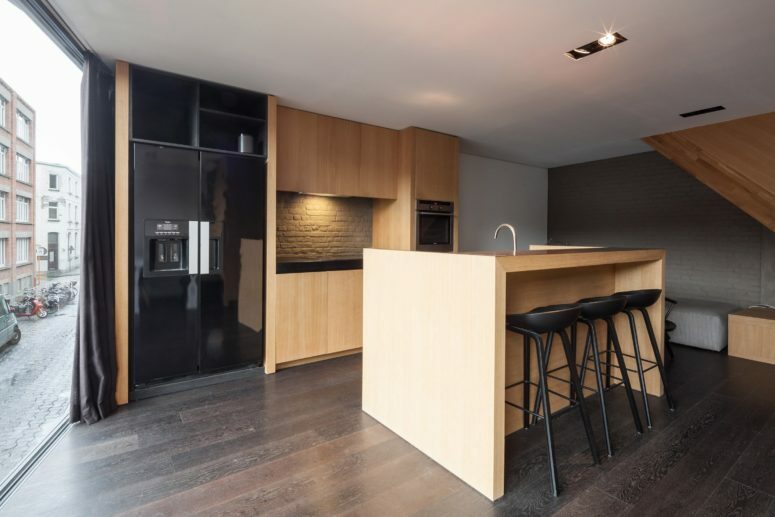 The spaces are decorated in black, grey and white, in the finest modern style, with no excessive features, everything here is stylish, sleek and functional. 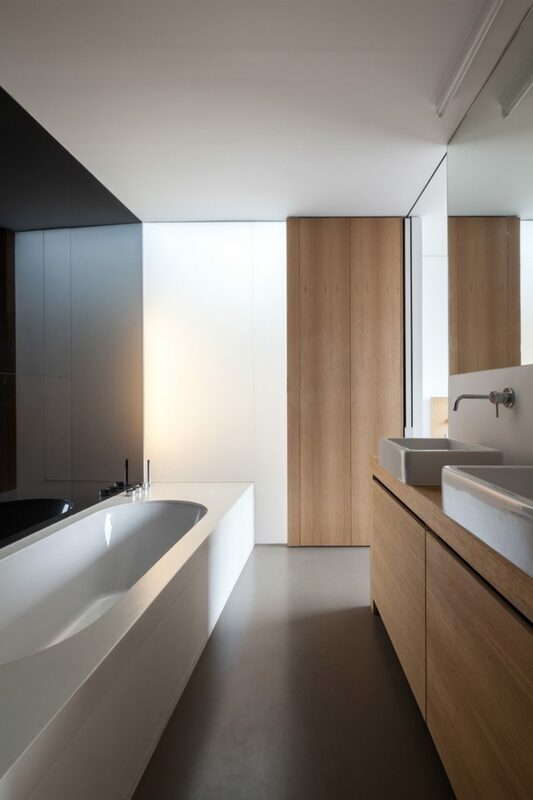 Custom-made sliding panels without visible frameworks maximize transparency and enhance the unique crystal appearance of the building. The interior is finished with a combination of light and dark woodwork cabinetry, which makes the interiors warmer and cozier, and has painted brick walls. 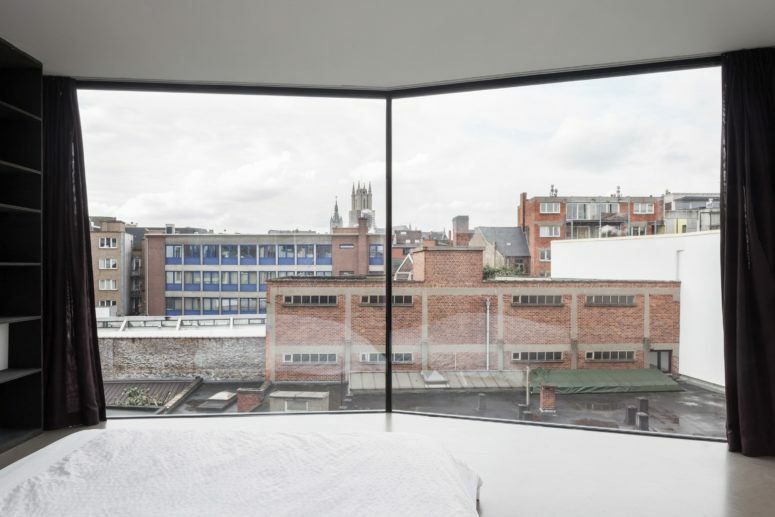 While the first and second floor have just one glazed facade, a penthouse-style suite on the top floor features two glass walls that give it panoramic views of the city in two directions. 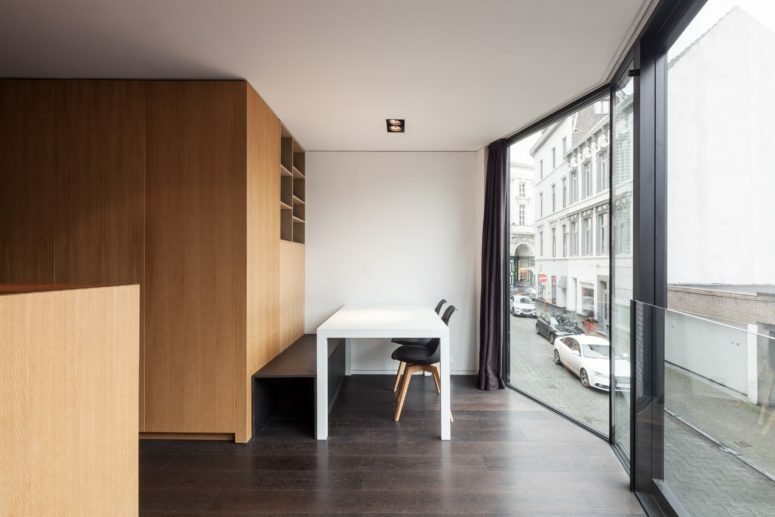 Curtains made from yellow ochre and black fabric can be drawn across the glazing to give the space privacy, or opened to connect it with an adjoining roof terrace and fill with light on both sides. This is a gorgeous modern example of how to create a narrow plot house without sacrificing comfort or style, get inspired!